The Standard AK Sling was designed from the ground up to be the perfect sling for the world's most prolific small arm to match the qualities of the AK: simple, durable, functional, and economical. If you have been long dissatisfied with the issue canvas strap or can't seem to get commercial slings to fit right, this sling is for you. 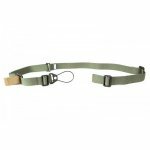 The Standard AK sling is what you want for your AK-47, AK-74, or other AKM Style Rifles. We started with the Vickers Sling platform used by good guys the world over. With over 200,000 in use with the US military, the Vickers Sling with its quick adjust technology has a track record of being combat proven. Like the Vickers Sling, the Standard AK Sling can be instantly lengthened and shortened with no sling tail to get caught or parts to break. 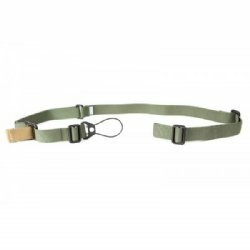 This allows close, secure weapon retention that can be carried all day, but instantly lengthened to be shouldered and fired without removing the weapon or untangling the sling. The sling can be sized to the individual, with or without body armor or other gear. 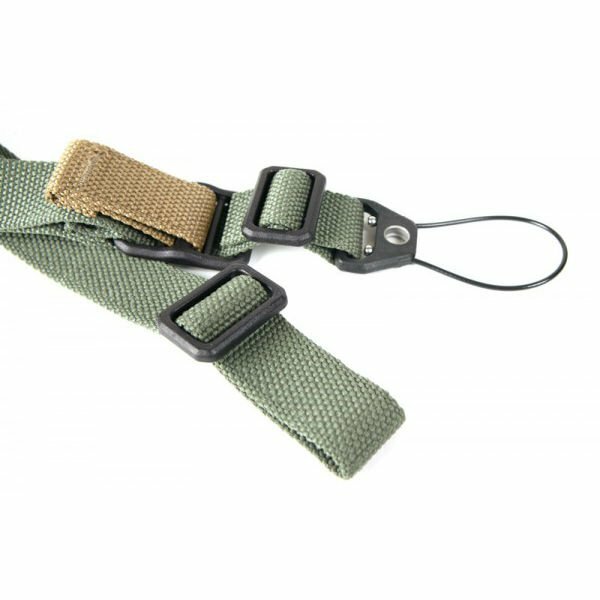 The Standard AK Sling comes with a Molded Universal Wire Loop threaded onto the front of the sling. Perfectly suited for the AK, the UWL attaches to the elongated eyelet on handguard retainer or gas block quietly and securely with nylon coated aircraft grade stainless steel cable. The UWL can also be passed through underneath the gas tube for left hand installation. The UWL is threaded on the front and can be removed for a more custom application. Unique to the Standard AK Sling is the limited run of plum hardware. As a tribute to the famed Russian plum furniture and mags of the late 1980s, the plum hardware on OD and Coyote Brown slings is the finishing touch of such a unique sling. As with all Blue Force Gear products, the Standard AK Sling is made with excellence in the USA, is Berry Compliant, and carries a limited lifetime warranty.